The people who work at the SPCA are always in need of extra volunteers to assist with the many responsibilities of caring for the animals there. For three hours we packed a moving truck with water and other supplies for the annual walk for the SPCA March for the Animals that occurred this past Sunday at Druid Hill Park. The event raised almost $425,000 this year. 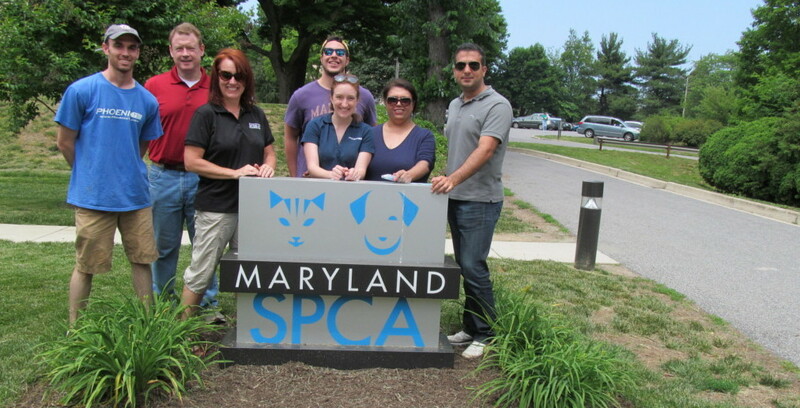 We volunteered and helped pack water, shirts, and other items for the annual SPCA March for the Animals. Also, read about our other volunteer outings in our Giving Back section of the TechRoots blog. If you are a student at Phoenix TS and want to join us on our next volunteer trip, please contact me at Wruddy@PhoenixTS.com.